Home / News / politics / exposed documents revealing Senate President Bukola Saraki’s asset declaration in 2003.
exposed documents revealing Senate President Bukola Saraki’s asset declaration in 2003. A new report has exclusively exposed documents revealing Senate President Bukola Saraki’s asset declaration in 2003. 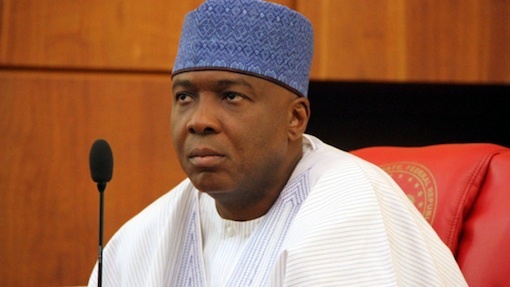 Newscrystal has exclusively obtained documents revealing Senate President Bukola Saraki’s asset declaration in 2003. The documents come hours after newscrystal reported that the Code of Conduct Tribunal formally charged the embattled Senate President with 13 counts of financial crime, money laundering, and unexplained assets. Mr. Saraki’s trial is expected to commence tomorrow, September 18, 2015, as he has been officially served today with the charges. newscrystal has published a series of investigative reports detailing Senator Saraki and his wife, Toyin Saraki’s career of plundering Societe Generale Bank, where he was an executive director and in which the senator’s family had controlling shares, as well as the finances of Kwara State during his eight-year tenure as governor. An investigation by the Special Fraud Unit of the Nigerian Police Force revealed that Mr. Saraki not only went on a massive stealing spree that contributed to the collapse of Societe General Bank, but that he also masterminded a series of fraudulent schemes by taking out loans and bribing bank officials not to collect on those loans. Altogether, Bukola Saraki has accumulated millions of dollars in unexplained expenses and assets. The latest documents offer a glimpse into his life of unexplained luxury and asset accumulation. The asset declaration forms also offer a glimpse into Mr. Saraki’s clever maneuvers to conceal his stolen wealth by passing off some assets to his wife, Toyin Saraki, and their two children, Semi Saraki and Teniola Saraki. It is remarkable that Mr. Saraki’s 2003 Declaration of Assets Forms were filed on May 12, 2003, seventeen days before he was sworn into office as Governor of Kwara State. Therefore, the assets he declared in the forms reflected the wealth Mr. Saraki had accumulated before he began an extensive plundering of Kwara State funds. Mr. Saraki’s 2003 asset declaration documents reveal his astonishing wealth with no explanation for how he obtained it. He and his companies had more than N51.5 million in Nigeria when he submitted these forms to the Code of Conduct Bureau in 2003. Mr. Saraki also had cash assets, under his name or those of his companies, of at least 2.9 million pounds sterling and $400,000 dollars in 2003. In addition to his cash assets, Mr. Saraki was also the registered owner of at least eight properties in Nigeria, calculated in 2003 to be worth more than N2.2 trillion. Mr. Saraki was also the registered owner of eight properties in London, which he purchased roughly during the same time. By 2003, according to Mr. Saraki’s assets declaration forms, he owned properties in the UK worth more than $12.6 million. Before becoming a State governor, Mr. Saraki also purchased 15 vehicles. The automobiles consisted of a Ferrari, 10 Mercedes Benzes, and four bulletproof cars valued at more than N263.4 million. All the vehicles were purchased between 1997 and 2002, with most of them acquired through “business” transactions. The assets declaration forms also reveal that Mr. Saraki and his companies had stockholdings worth 2,145,550 naira, 2,600,00 Euros, and 6,108,33 US dollars. The documents also reveal that Mr. Saraki’s wife, Toyin, and their two children, owned assets that were inexplicable and highly suspicious. The forms showed that the assets held by Mrs. Saraki and the senator’s two children included cash, property, and stock holdings valued at more than N8 million, 4.5 million pounds sterling, and $4.6 million. The total wealth, of cash and other assets, that Bukola Saraki decided to declare on his assets declaration forms was 2.607 billion naira (2,607,110,550 naira), 23.7 million US dollars (23,783,333), 7.4 million Pounds Sterling (7,406,500 Pounds Sterling), and 2.6 million Euros (2,600,000 Euros. The grand total of Bukola Saraki’s wealth, as of 2003, is 10.2 billion naira (10,209,270,295 naira). However, as SaharaReporters and Nigerian police investigations have shown, this is only a small glimpse of Bukola Saraki’s total wealth. Newscrystal has previously released documents detailing a police investigation of Bukola Saraki, authored by the Chief Superintendent of Police for Anti-Money Laundering, which offered another glimpse into Saraki’s criminal and unexplained financial activity. This investigation revealed that Bukola Saraki conservatively deposited more than 2 billion naira into accounts belonging to him, in addition to his dollar accounts. The investigation found that between May 2009 and May 2011 Bukola Saraki deposited at least 4.5 million dollars (4,560,871 US dollars) into his dollar accounts. It was also found in the investigation that more than 5 million dollars made its way into Bukola Saraki’s Zenith Bank account during his time as Governor of Kwara State. Altogether, from this very conservative estimate of unexplained wealth, Bukola Saraki has more than 14.1 billion naira (14,111,405,580 naira) according to declaration forms and police investigations of him. Bukola Saraki’s latest statement on this matter simply states that it is all an “outright fabrication and mischief,” while also noting that he continues to fight corruption.